Happy (almost) Valentine's Day, y'all! While I usually think Valentine's Day is a little cheesy and overrated, I really love all of the cute greeting cards and red and pink decorations (and candy, of course!) I don't think you just have to have a significant other to celebrate Valentine's Day...celebrate it with whoever you love! My parents used to always get my siblings and me gifts and candy for Vday, and I plan on doing the same for my future kids. I even sent my parents a Valentines's Day card this year. So, whether you're celebrating the day with your sweetheart or anyone else you love, I hope everyone has a wonderful Valentine's Day this year! 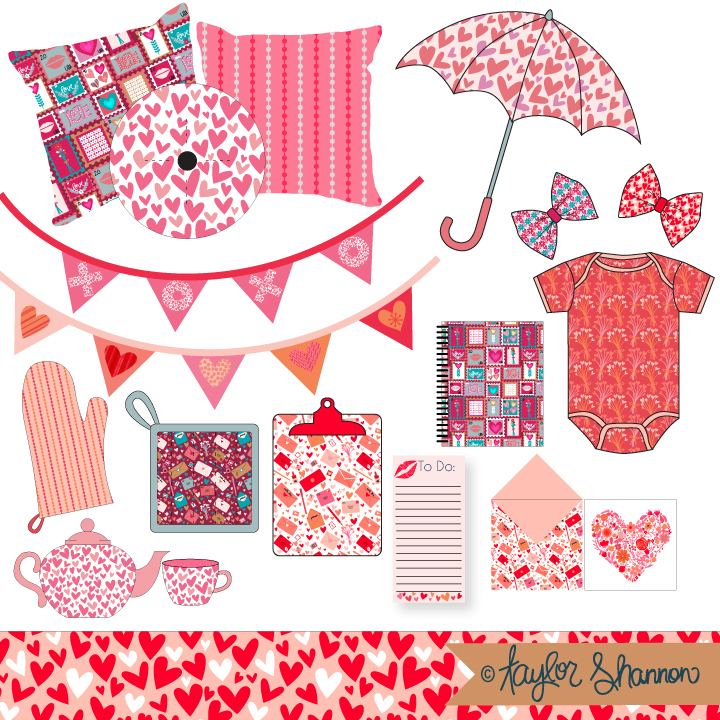 Of course, I had to create a Valentine's Day themed pattern collection! 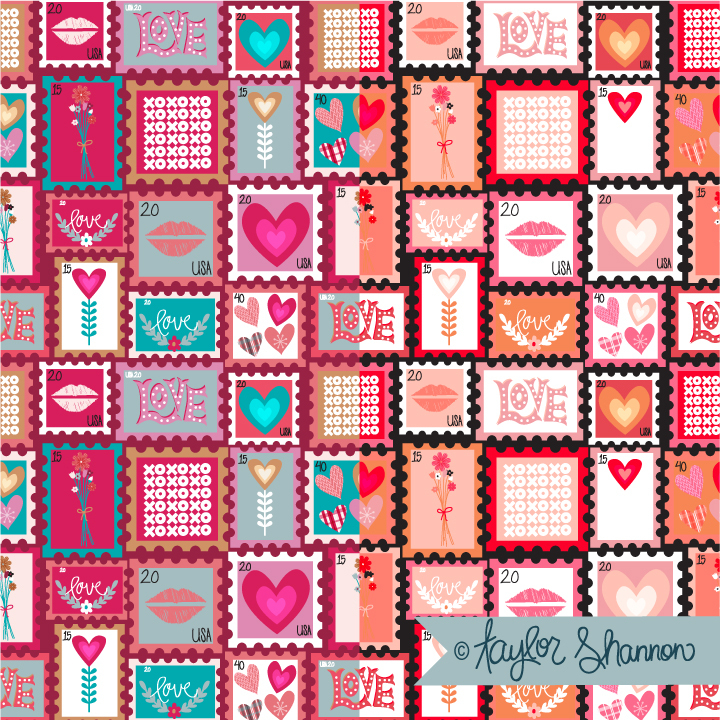 It's called "Love Notes" and I did two different colorways as well as some fun mockups. Hope y'all enjoy! 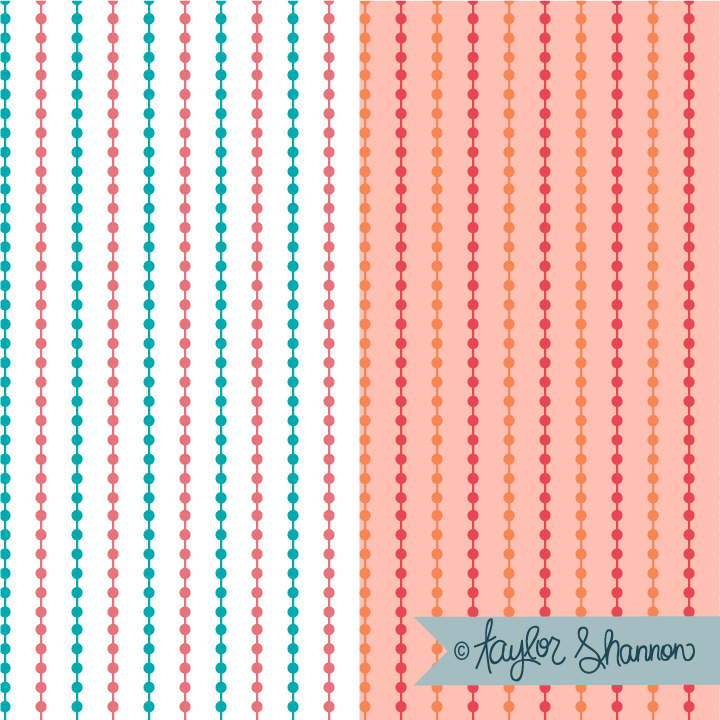 I will also be entering in the Spoonflower fabric design contest for next week. The theme is "Love is in the air", and I decided to reuse some of my little birdies from the Love Notes collection to create a fun, weather-and-love-filled pattern. Voting for this contest begins next Wednesday, so head over to Spoonflower to vote for your favorites!